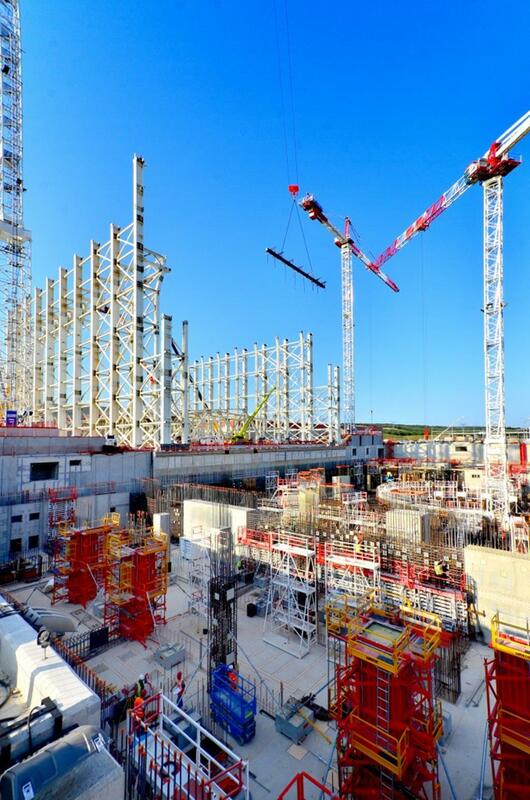 Once completely assembled, the 700-tonne roof structure will be hoisted from above by way of hydraulic jack (22 of them) connected to the top of the pillars through temporary cables. The operation, which should take the better part of one week, is scheduled for late August. Approximately 85,000 bolts are part of the building's structure. Each one is tightened to 75 percent of nominal torque; the final tightening will only be applied only after strict verification of the assembly's geometry. 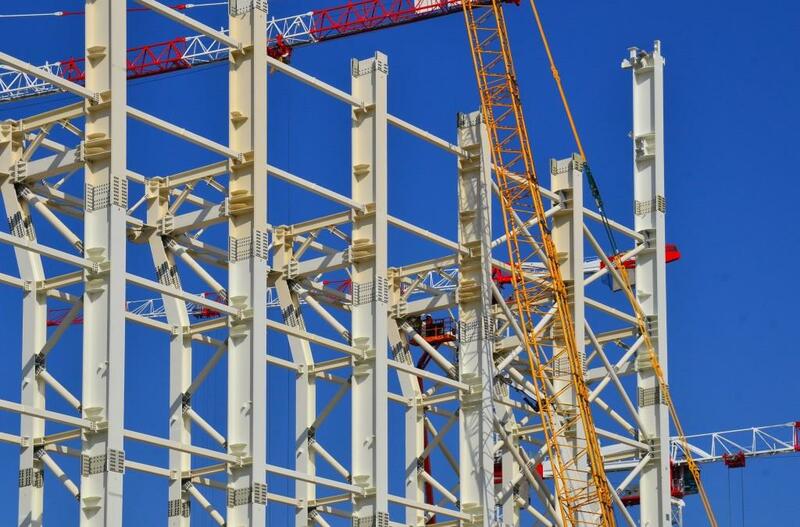 However rigid and sturdy the pillars—each individual segment measures 12 metres in length and weighs up to 23 tonnes—the structure is still flexible; a deflection of up to 15 cm due to wind or temperature is possible at the top. 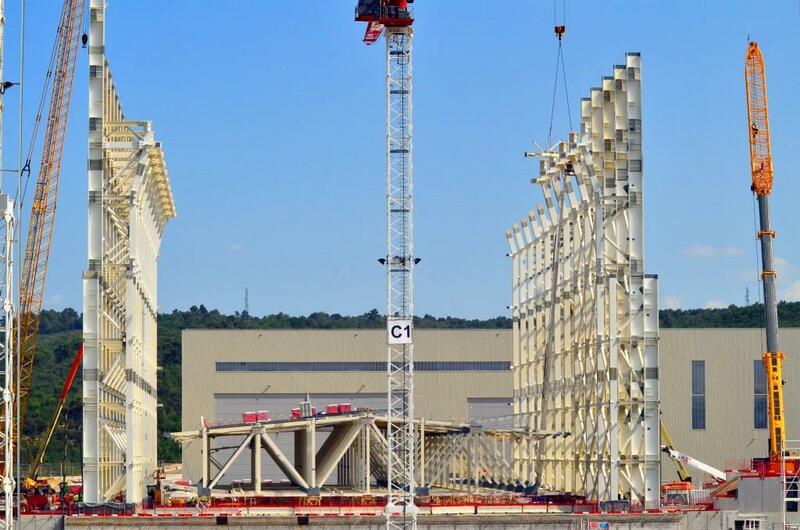 In mid-July, the first fifth-level pillar was installed on the north side of the Assembly Hall structure. 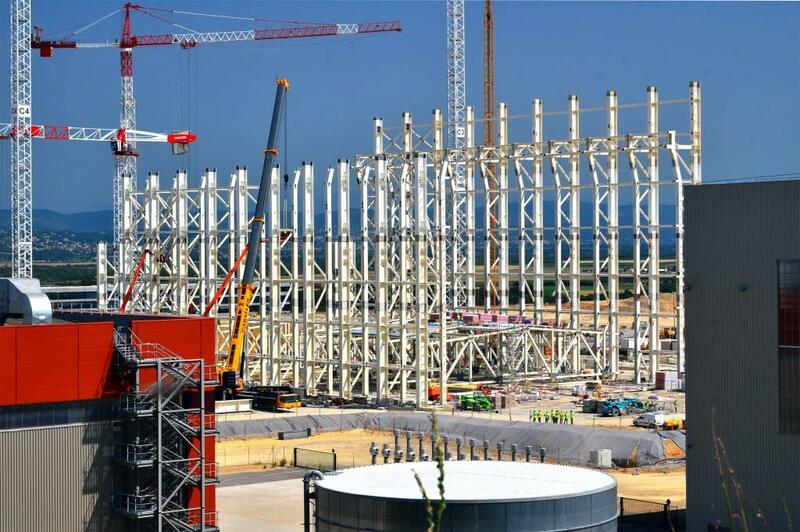 In this picture taken in early July from the ridge overlooking the ITER site, workers are dwarfed by the huge size of the Assembly Hall structure. 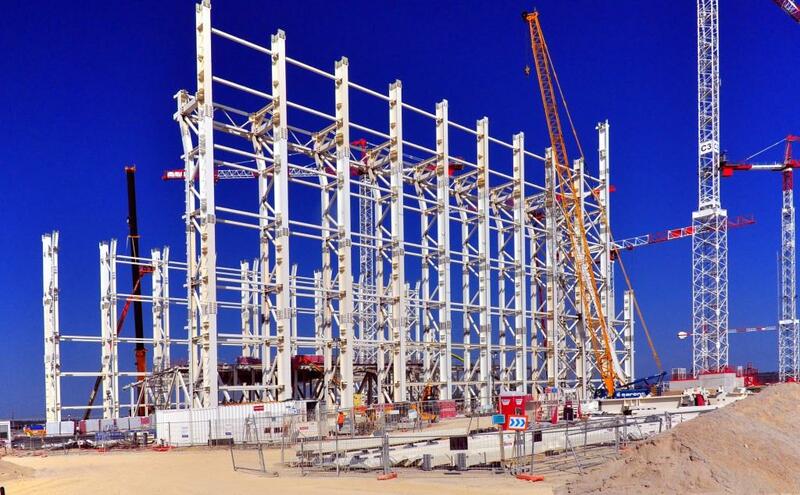 When completed, the building will stand 60 metres tall.